There is an old apricot tree from the original orchard which still produces delicious fruits, and 4 young multi-grafted fruit trees. Since the hens have access to the orchard and they love digging, we replaced the traditional basin irrigation by drip irrigation. The smaller bushes like the blueberries and red currants are protected from the avid diggers! 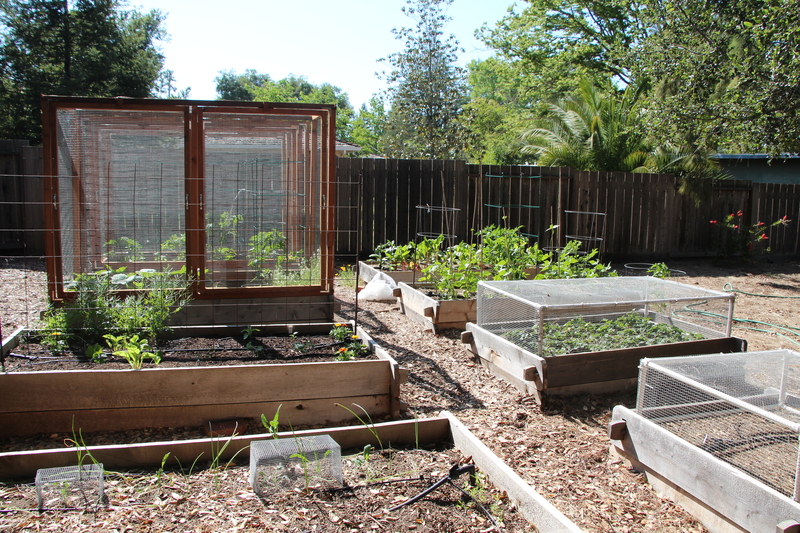 There are 10 raised beds where we grow veggies all year round, both for us and the hens. When a bed is not used, we usually grow a cover crop in it (aka green manure). There are lots of critters (squirrels in particular) who use our garden as a refectory. We built different structures to try to keep some of the harvest to ourselves! There are 2 piles: one to add new stuff and one that finishes off. It’s mostly a slow composting process, although it does become hot with the right proportion of greens and browns. The finished compost is used in the vegetable garden. With the drought, we removed most of the lawn and heavily mulched the soil. 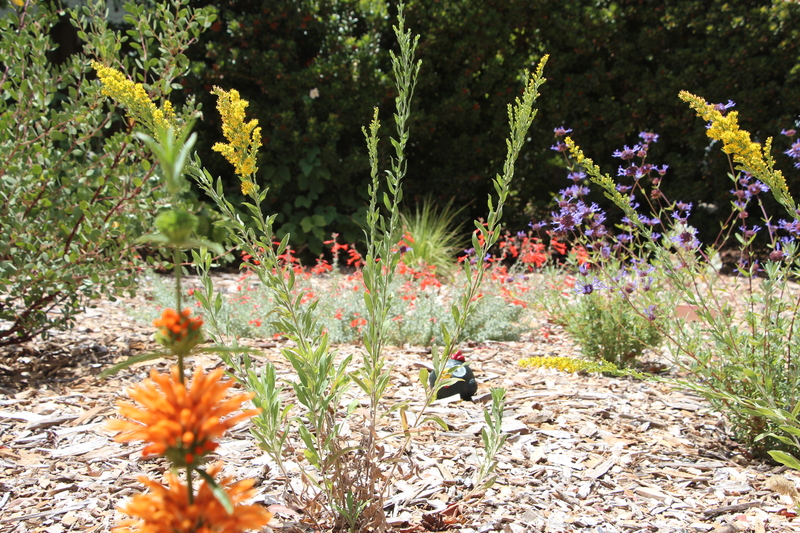 The frontyard is a native/mediterranean garden since 2013. Mulch is a wonderful way to keep your soil healthy, add organic matter, conserve water, reduce soil compaction… and all while preventing weeds to grow! The reduced lawn consists of 2 different grasses: the seashore bentgrass (agrostis pallens) which is a native cool season grass, and the UC verde buffalograss which is a warm season grass. They both require little water, fertilizer, and virtually no mowing.